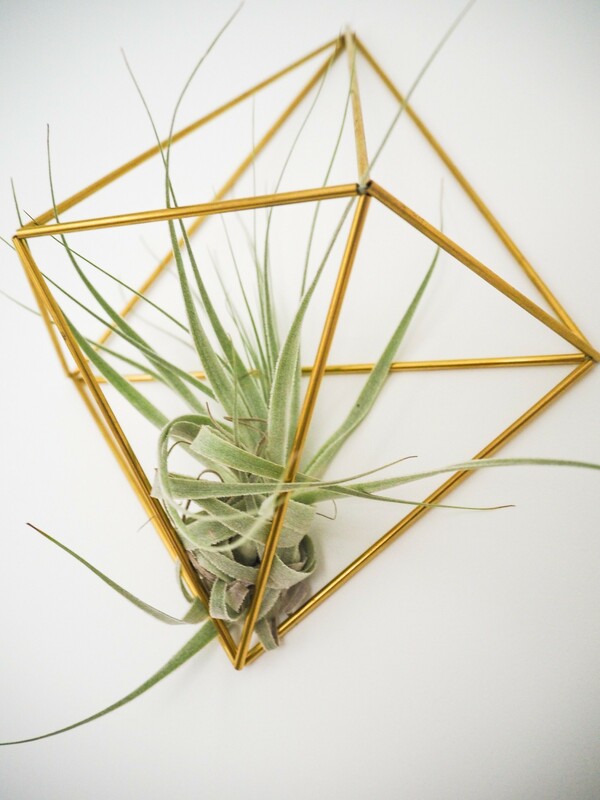 Get the scoop on where to find air plants, and how to incorporate them into any home décor! 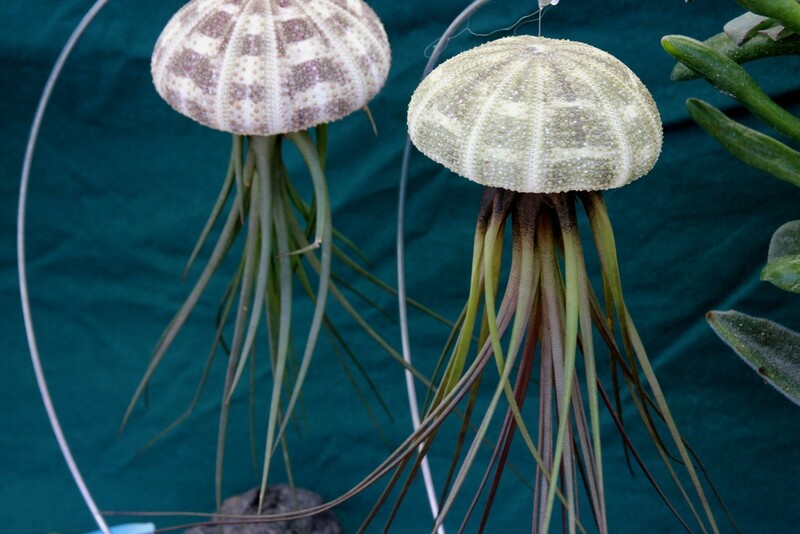 Exotic, fresh, and fabulous, air plants have taken the green house by storm. These beautiful bromeliads are trending in home décor, from tiny terrariums to living walls. Want to get in on the action, but aren’t sure how to show them off in your home? Or maybe you’re worried that they require too much upkeep. Surprise! These natural wonders need less attention than you might think. Caring for air plants begins with choosing healthy specimens. This can be tough if you don’t know where to buy air plants, or exactly what you should be looking for. Beginners take heart, from finding and selecting your leafy little ones to setting them up in style, this introductory guide has got you covered. Air plants, also known as tillandsia, are found naturally in Central and South America, and as far north as the southern United States. There are over 500 known species, discounting hybridized domestic varieties. “Air plant” is a bit of a misnomer, as it implies that the plant lives on air alone. Air plants don’t need soil to grow, but they do need water. 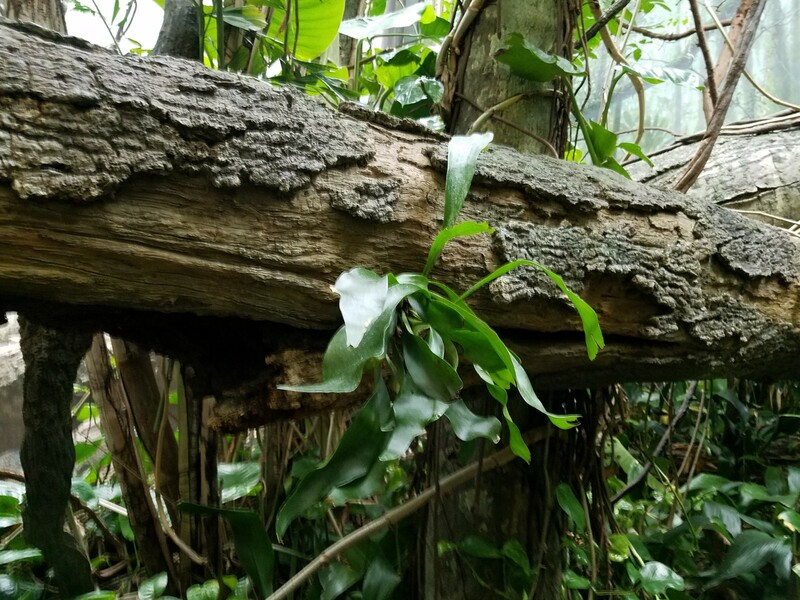 In nature, they are often seen growing on rocks, trees, and logs with their roots partially to completely exposed. Different types of air plants are native to different regions, from spiny leaved tropical plants to the more succulent like desert tillandsia. Care for all types is similar, but there can be slight variations. It’s a good idea to get a positive ID on the species of an air plant so you can be sure to give it exactly what it needs. As they increase in popularity, it’s becoming easier and easier to find tillandsia. Many local nurseries and greenhouses have offered them for years, but now you can even go to Lowe’s or Home Depot for air plants. Call ahead to see if the branch closest to you stocks them. Some farmers’ markets and craft fairs showcase them, too. When buying from a brick and mortar store, look for tillandsia with fresh, strong leaves. Shriveled and brown tips mean a plant is either dehydrated or has had too much sun. Softness or loss of multiple leaves could be due to rot. 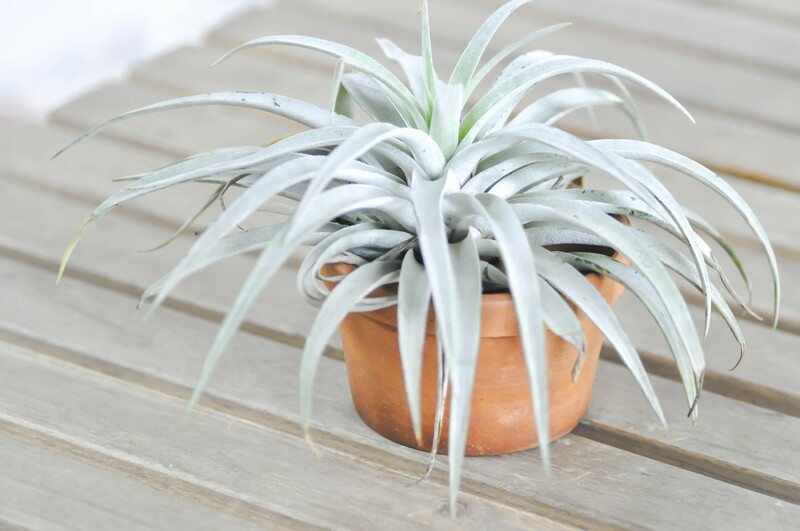 If purchasing an air plant in a container, push the plant gently to determine if it has been glued in place. While there are plant safe glues to do just this, you won’t be able to easily transfer your plant to another container or take it out to soak it without possibly damaging it. If you love the container and are comfortable with misting as your only method of watering, you’re good to go. If not, find a non-glued option. If you buy online, be sure to check your vendor’s reviews, and investigate their shipping options. I don’t recommend buying air plants online for winter shipping in colder regions unless the company offers both a heat pack and a guarantee. Make sure someone will be home to receive your shipment so your plants aren’t left out in low temperatures that can harm them. 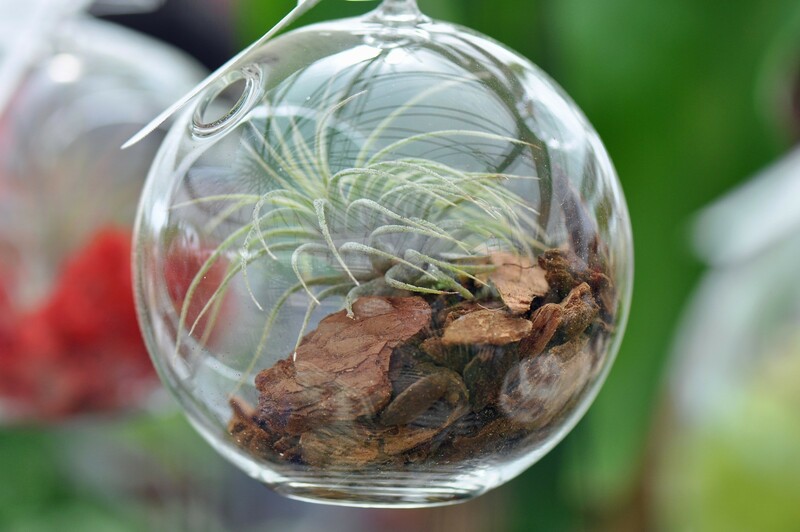 An online vendor is the best place to buy air plants either in bulk, as wedding favors, or as gifts. This look is achieved with simple geometric vessels or hangers in any media, from ceramic to cement to metal. The lack of adornment focuses all attention of the air plant itself, whether it’s suspended or sitting on a flat surface. 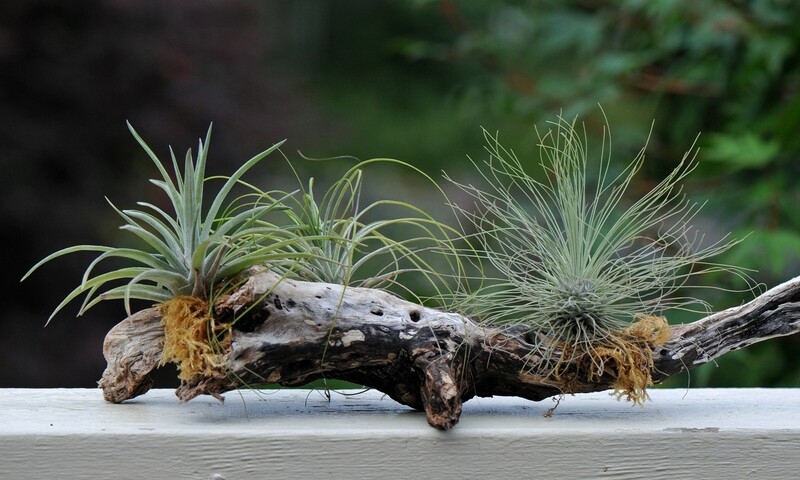 Going with elemental materials like stones, moss, and driftwood recreates the effect of tillandsia growing in the wild, as they have for thousands of years. With patience, you can even get them to root to other plants or rocks. 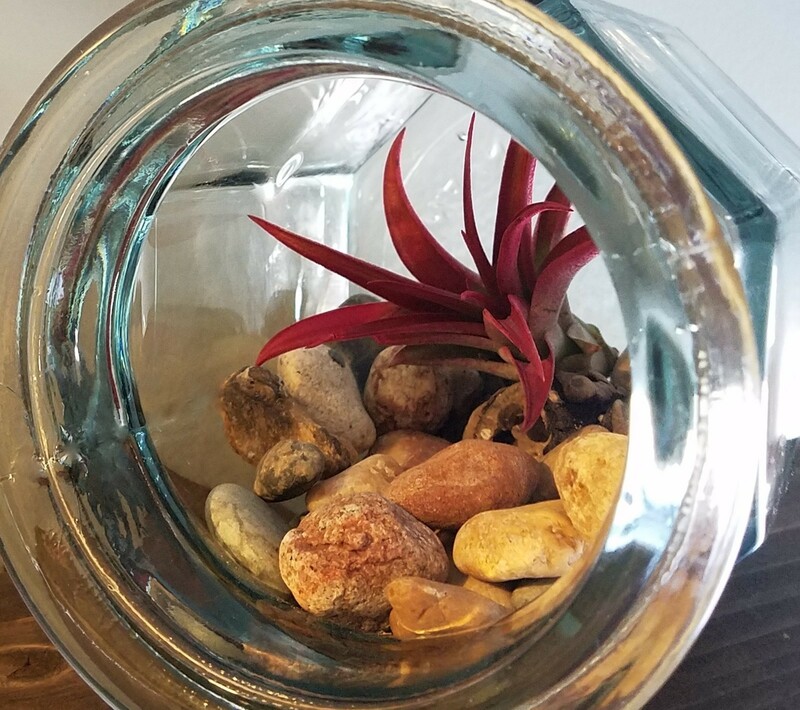 You can find air plant terrariums for sale in nurseries, craft stores, and through online sellers. Or, you can improvise. I used a glass hex jar with driftwood and pebbles for this one. Just because air plants don’t need soil doesn’t mean you can’t keep them in pots. From terracotta to porcelain and everything in between, there are pots a-plenty to choose from, in every size and shape imaginable. This is a great option for larger air plants, which won’t fit in many of the diminutive, trendy containers. Who knows, you may already have the perfect pot for your new plant! A glass globe presentation is the definition of effortless elegance. Hanging globes are especially delicate in appearance due to their rounded bottoms, and the beauty in a bubble effect sets a magical tone wherever they are placed. 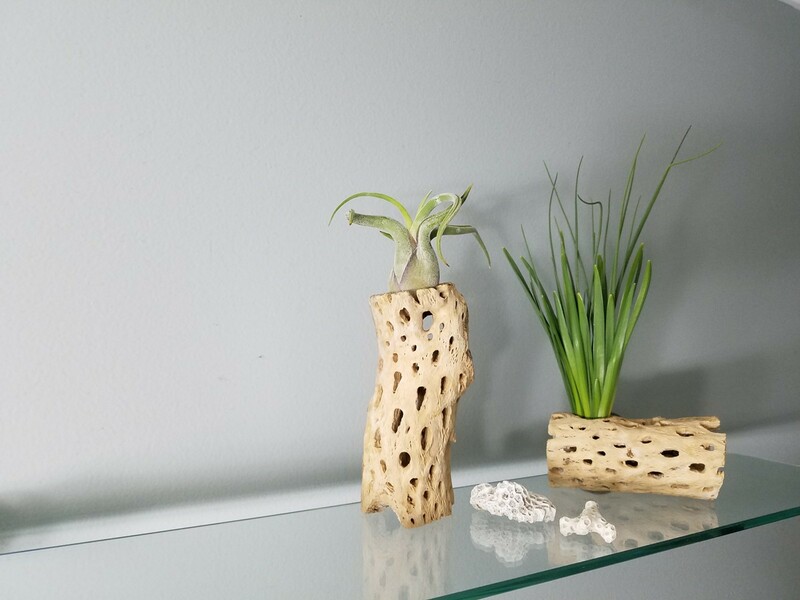 It’s easy to see why shells and sea urchins have become popular vessels for tillandsia. They look like tiny jellyfish and wayward nautiluses! This whimsical display style is great for a beach house or ocean themed décor. This type of suspended presentation does require gluing your plants in place, so be sure to get an appropriate adhesive to recreate this look. E 6000 glue, available from many air plant vendors and craft suppliers (including on Etsy) is considered the go-to air plant glue. 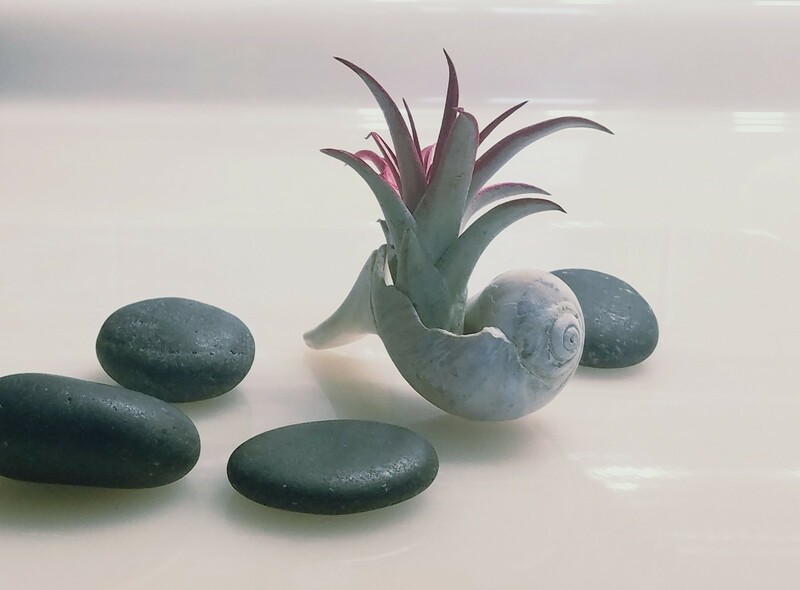 Alternatively, you can keep your shell or urchin vessel “on its back” on a flat surface, with the air plant reaching up. No need for ceramic or glass with containers made from bamboo, driftwood, or cholla wood. Simple and eco-friendly, these options complement almost any décor and are available from most tillandsia vendors—a great choice for beginners or pros. Still looking for more ideas? Wine glasses, lanterns, coffee mugs, and even corks have been used for air plant display. Put your creativity to work and see what springs to mind. With these natural beauties to inspire you, there’s no telling what you might think up. Whatever it’s, we’d love to hear about it. Show us your favorite tillandsia displays, and we’ll be walking on air!